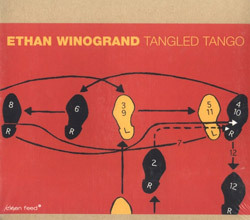 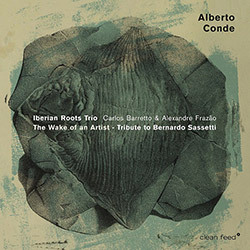 A tribute to pianist and composer Bernardo Sassetti from a trio that includes two members of Sassetti's Trio--bassist Carlos Barretto and drummer Alexandre Frazao--along with pianist Alberto Conde and violist Jose Valente, as they interpret Sassetti compositions, a Federico Mompou piece Sassetti played frequently, along with original compositions from all members. 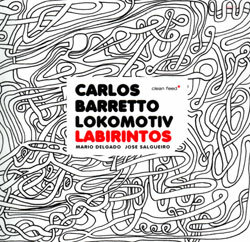 Lokomotive's "Labyrinths" with bassist Baretto at the top of his game in playing and scoring this driving and unorthodox set of pieces, performed with two of Portugal's most in-demand players. 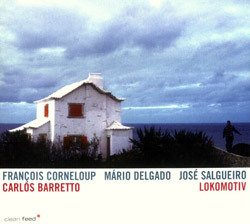 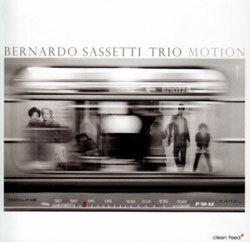 Portugal pianist Bernardo Sassetti's trio with Carlos Barretto (Lokomotiv) and drummer Alexander Frazao, delicate and exquisite jazz from an extraordinary composer.